The toilet has already been installed. The grand opening ceremony is on Friday. 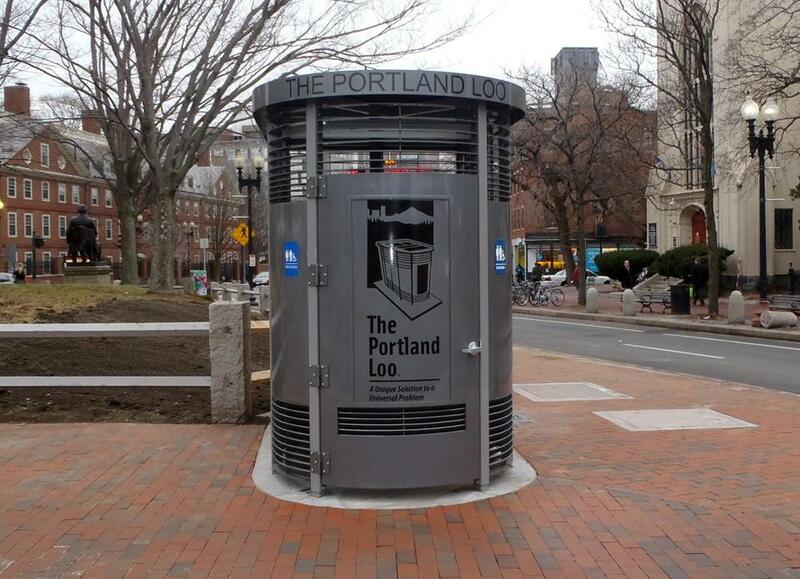 It’s good news for those who have had to answer nature’s call while out exploring Cambridge: After years of research and input from the community, the city will officially open a freestanding toilet in Harvard Square this week that will be accessible to the public. The outdoor facility was recently installed in General MacArthur Park, a small parcel of land just outside the university gate, at Massachusetts Avenue and Church Street. Cambridge officials plan to celebrate the grand opening of the toilet, which is a first of its kind for the city, at noon Friday. “The facility is a simple, sturdy, graffiti-resistant, flush-toilet kiosk, located on the sidewalk,” the city said in a statement. The toilet will be accessible 24 hours per day, and is billed as a “clean, safe, and environmentally friendly restroom,” officials said. In picking a design for a public bathroom, officials opted for one modeled after the “Portland Loo,” a shiny, oblong structure made of stainless steel that was first made famous in Portland, Ore.
Efforts to bring the public bathroom to the busy city square have been in the works for years, and were prompted by the closure of the public restrooms at Christ Church Cambridge in 2012. The church was having issues with people dealing drugs or overdosing in the bathroom. The church’s decision to close it forced tourists and visitors to seek relief at businesses in the square. A grass-roots group called “Advocates for a Common Toilet” had long fought for the “right” to have a restroom near the Cambridge Common that would be available to the residents, visitors, and the homeless population in the area. In 2012, the city had convened a “Public Toilets Working Group” to examine whether a public toilet would be used if it were installed somewhere in Cambridge — and if so, where? A year later, the group conducted interviews and online surveys with nearly 850 residents, students, business owners, and church officials to gauge the community’s desire to install an outdoor toilet. Results from the questionnaire, which were released in February 2014, showed that a majority of those surveyed identified Harvard Square as the best place to plop down the restroom. Respondents had also said that they had difficulty accessing public restrooms specifically near the Cambridge Common and the heart of Harvard Square. The Harvard Square facility will serve as a model for another public restroom that Cambridge officials have planned for Central Square.